Marian Pfrang, 85, of Goff, Kansas passed away Sunday, June 24, 2018 at the Westy Community Care Home in Westmoreland. Marian was born February 20, 1933 in Summerfield, Kansas the daughter of Warren and Alice (White) Stedman. She attended school in Wetmore, and graduated with the class of 1950. Marian was united in marriage to Robert K. Pfrang on April 29, 1951 in Topeka, Kansas. They made their home on a farm outside of Wetmore. Marian has resided in the same home for over 67 years. She was a member of the Wetmore Methodist Church, the Wetmore Legion Auxiliary Post #282, and was a cook at the Wetmore School for many years. She was preceded in death by her parents; her husband, Robert K. Pfrang on June 2, 2010; and a son, Rick Lee Pfrang on January 1, 1981. 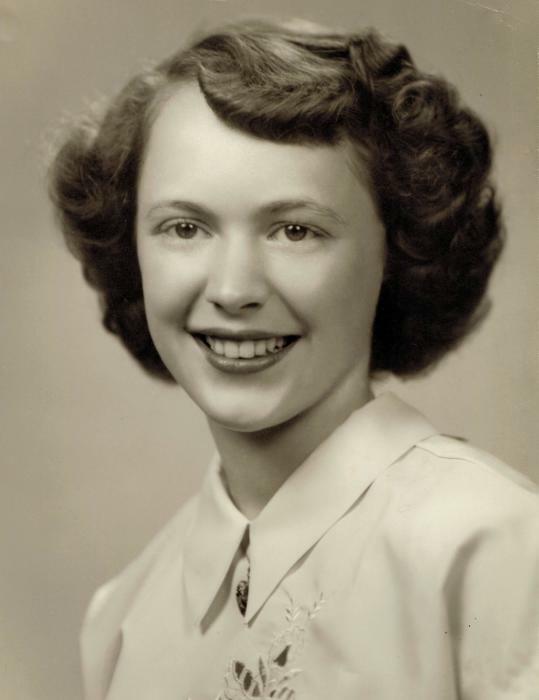 She is survived by her sons, Dennis (Teresa) Pfrang of Wetmore, Kansas, and Keith (Tammy) Pfrang of Fort Worth, Texas; five grandchildren; six great grandchildren; one sister, Vernika Azure; four brothers, Harry Stedman, K Stedman, Pearl Stedman and Guy Stedman; and numerous nieces and nephews. Graveside service will be held Monday, July 2, 2018 at 11:00 a.m. at the Granada Cemetery in Granada, Kansas. Marian will lie in state at the Popkess Mortuary in Sabetha on Thursday and Friday from 8:00 a.m. to 5:00 p.m., and Sunday from 10:00 a.m. to 4:00 p.m. In lieu of flowers, memorial contributions may be made to the Wetmore Legion Auxiliary Post #282, sent in care of Popkess Mortuary, 823 Virginia, Sabetha, KS 66534.